If you live in Vancouver, you’ve probably heard about the newest international entertainment destination called PARQ Vancouver. 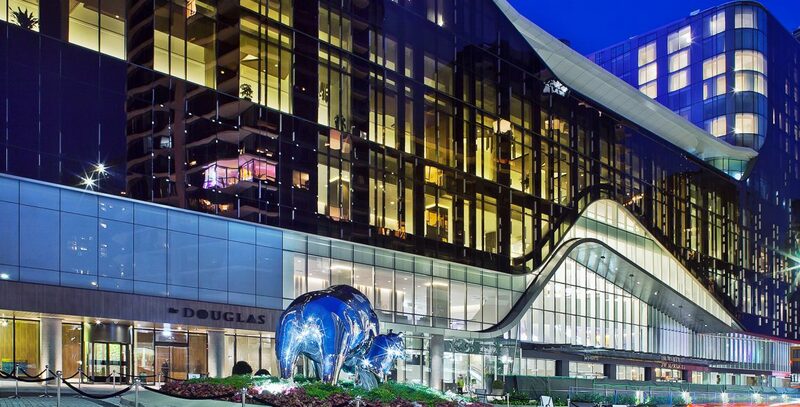 PARQ features two luxurious hotels (The DOUGLAS and JW Marriott), an upscale brand new casino, and a plethora of restaurants like Victor, Honey Salt, 1886, to name a few. Since their grand opening, I have stayed at The DOUGLAS, dined at Victor twice, played at their casino (and won $20! ), and ate at Honey Salt. All of my experiences have been nothing short of spectacular and this entertainment destination is truly something to experience. 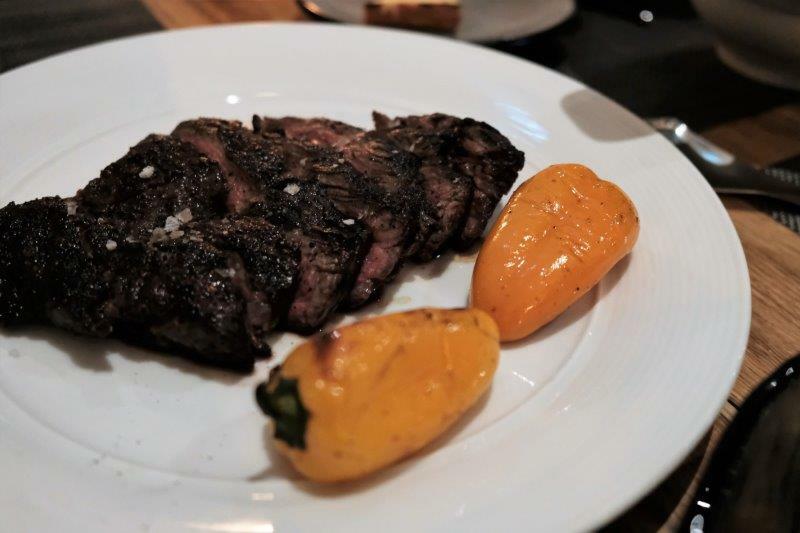 I’d recommend checking PARQ Vancouver out even if you are used to playing online casinos or eating at other hotel restaurants/buffets. 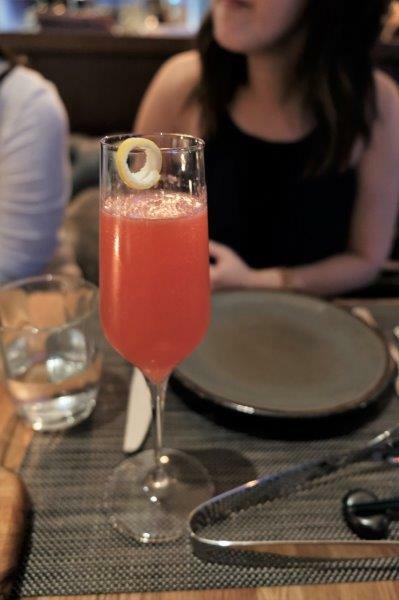 My friends and I visited Victor for a special girls night out and we started off with a round of these French Smash ($15) cocktails. They’re made with bombay sapphire gin, frozen raspberries, st.germain elderflower liqueur, and sparkling wine. While it was refreshing and a delightful way to open the dinner, note that their crafted cocktails are priced on the higher end so if you drink a couple of these, it can very quickly add up. Dining at a restaurant like Victor, I did not expect anything less for their complimentary bread, which was filled with lots of aromatic onion and cheese flavour. 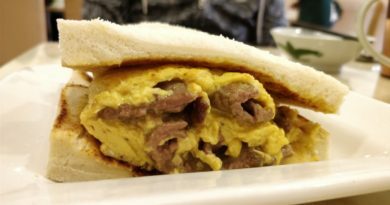 Even if you’re not a fan of eating bread before dinner, you must give this a try! I was really excited for the BC Octopus ($17) but surprisingly it was very small and contained only a couple pieces of octopus considering the price. 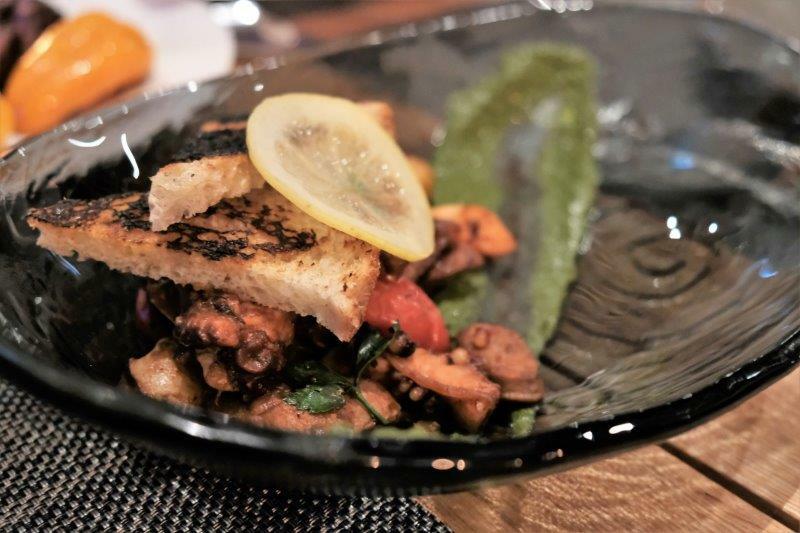 The braised and charred octopus was served with salsa verde, merguez sausage, and preserved lemon. Having heard from the waiter that the sushi chefs at Victor were flown in from Japan, we wanted to give their sushi menu a try. 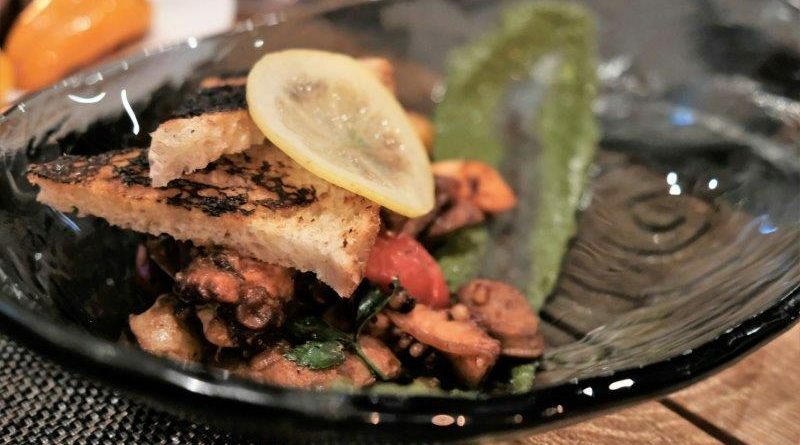 Normally none of us would ever consider such a thought, but we were sold and wanted to see if a restaurant like Victor could produce aburi and nigris as good as authentic mom and pop Japanese restaurants. 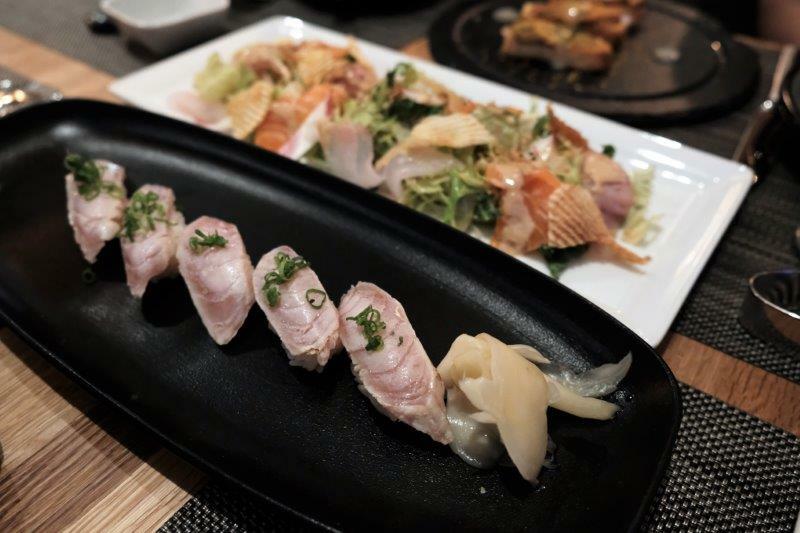 We ordered the 5 piece Albacore Tuna Aburi Sushi with brown butter and scallion ($15). While it was tasty, it really didn’t blow us away and we were a little disappointed. 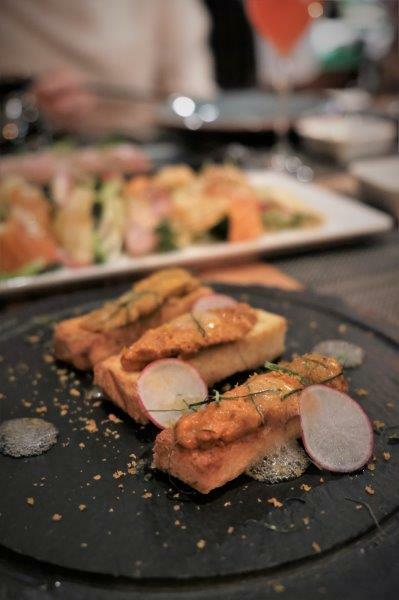 Another item from the sushi menu that we had high hopes for was the Uni Toast ($18). 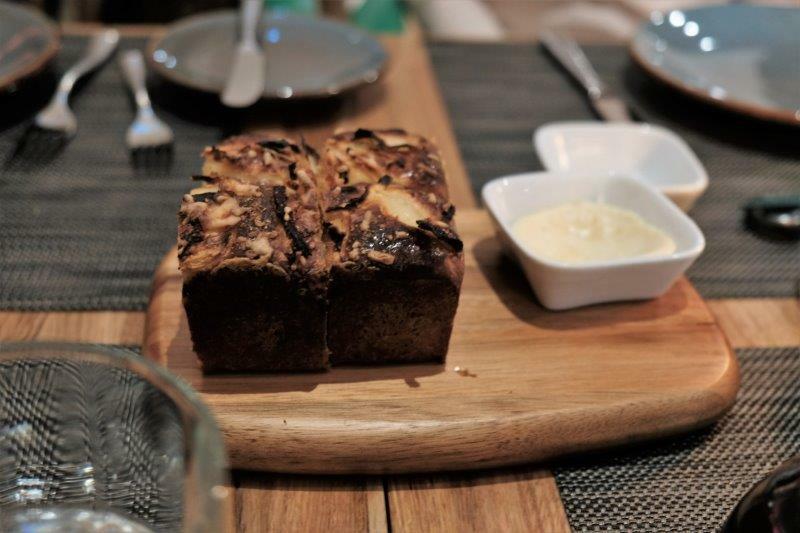 Unfortunately, we thought the portion was again too small (it equated to 6 dollars per stick of toast) and the charred thick toast masked the delicate flavours of the sea urchin. I could see their vision but I think the execution just missed the mark. The last thing we ordered from their sushi menu was the Shin/Chen Salad ($16). 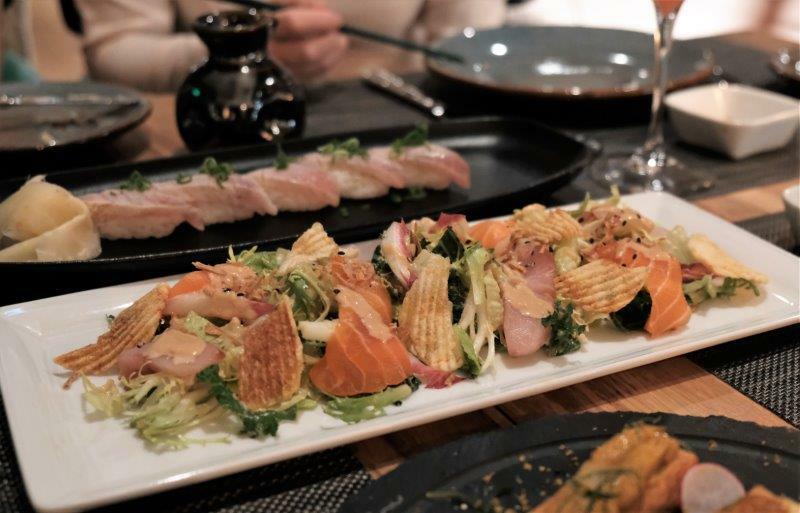 It contained the daily selection of sashimi, frisee, kale, red endive, waffle chips, and roasted sesame dressing. Now, if I could recommend you one thing to order at Victor, it would be this side right here. You might think, a side?! Come on Kirby, what are you thinking?? Just trust me. 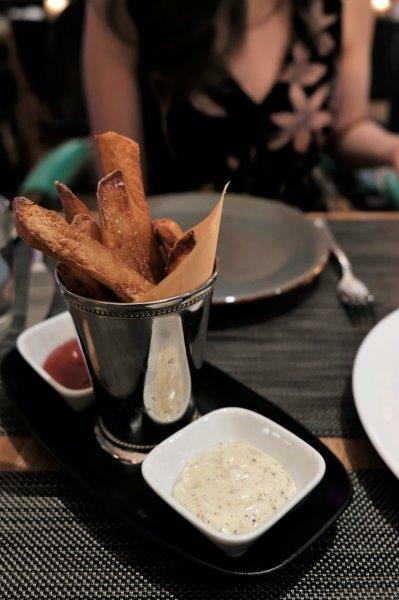 This is the Triple Cooked Fries with truffle and chive aioli ($10) and it is so good you might just have to get two. I (unfortunately) eat a lot of fries so I can actually tell these fries are triple cooked. It’s extremely crispy on the outside but at the same time extremely soft and fluffy on the inside. All of their famous steaks are served a la carte and we ordered the 10z Sirloin Cap ($27) to try amongst the four of us. The steak was tender and had a good char on the outside due to their 1200 degree broiler. 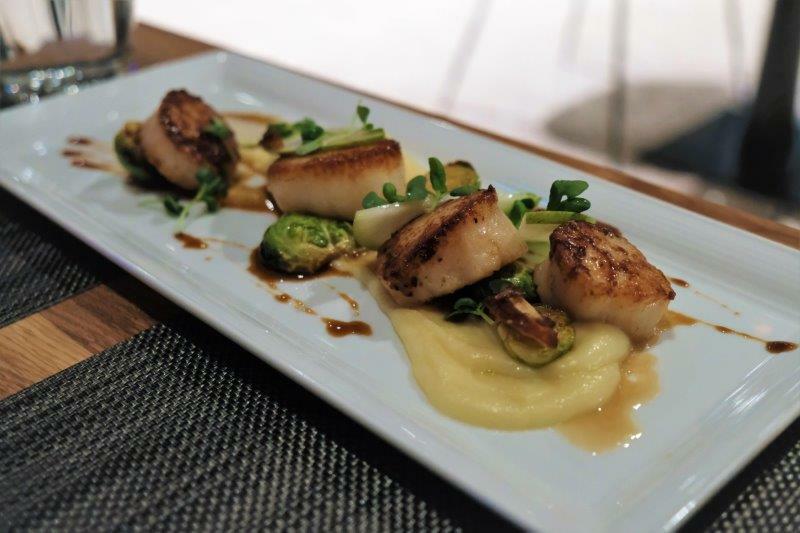 This Hokkaido Scallops ($35) dish consists of potato puree, roasted brussels sprouts, medjool dates, and minus 8 ice wine vinegar. These plump scallops were flown in from Hokkaido, Japan and they tasted absolutely delicious. Highly recommend. We ended off the night with their Creme Brulee Donut ($11) which really should be called “Creme Brulee Donuts” as they’re doughnut holes filled with custard, which is then torched with sugar until the top has a ‘creme brulee’ top. 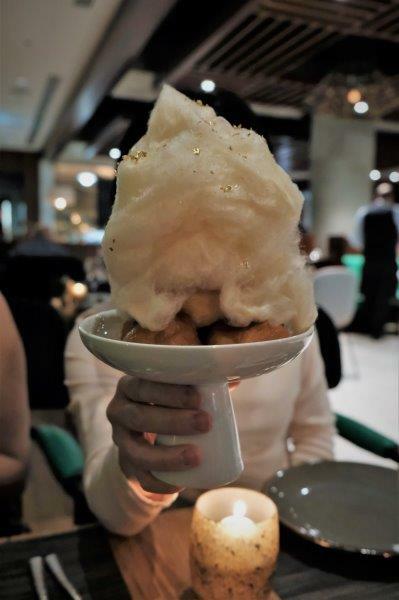 Sitting on top of all these glorious donuts is their housemade maple cotton candy. Funny enough, the taste was much more elevated than regular cotton candy and its very easy to tell the difference. Overall, the ambiance, service, price, and food quality of Victor is a notch above the rest. 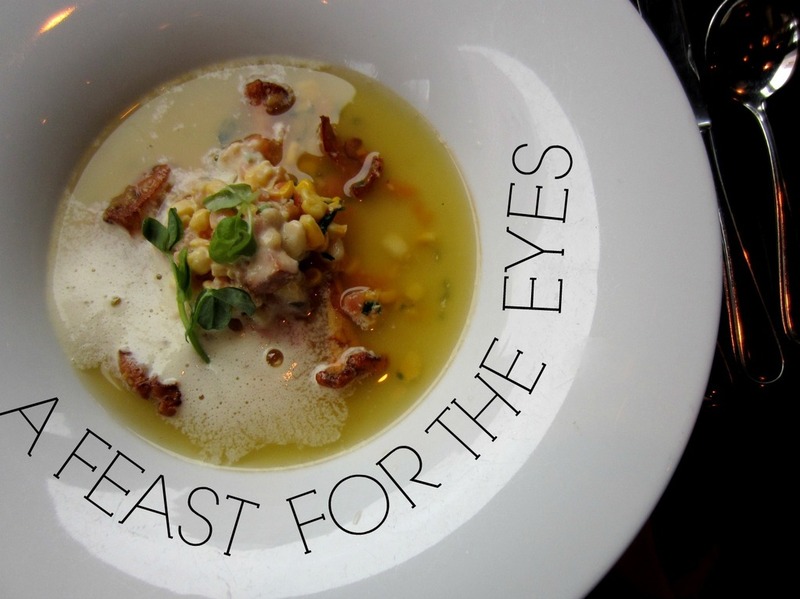 Granted some dishes were a hit or miss, but it doesn’t negate the fact that you feel like a star when dining there and many of their menu items are incredibly innovative.